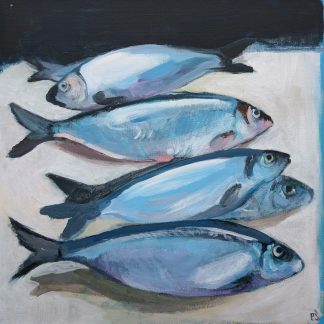 Acrylic on canvas. 2016. 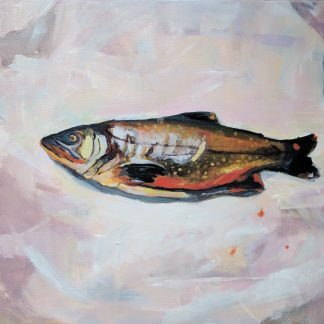 24 x 24 x 1.5. Not framed. Wire attached for hanging. 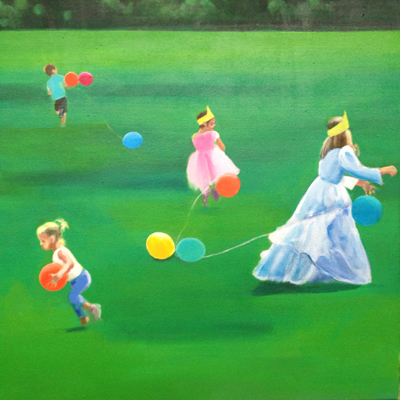 This painting is a part of a series depicting children running on a green field with colorful balloons. 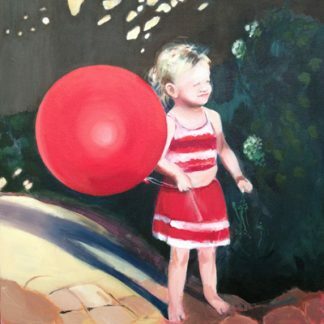 The paintings were inspired by the vivid colors and joyful children. My family and I were celebrating my daughter’s third birthday in the park. It was one of the late summer days, still very sunny and warm. The party was almost over, when the children took off the decorations- the balloons. They started running, dragging balloons attached to long strings. 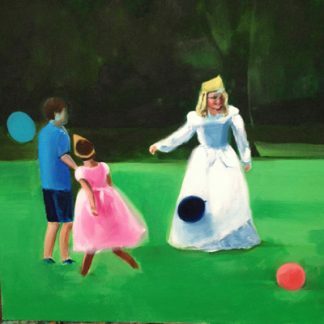 The balloons flew behind the children. The view was very picturesque. 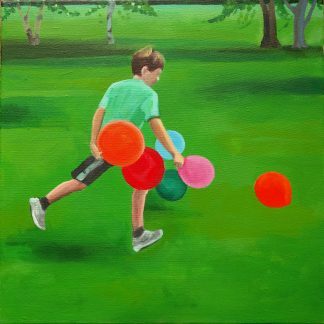 On the bright green field the children dressed in costumes, running with the brightly colored balloons looked like ready-to-paint pictures.